Joanne Taylor, Construction & Manufacturing Section Manager from IPS International in Rochester Kent, is rightly proud of the excellent reputation the Centre has in delivering qualifications and Apprenticeships. 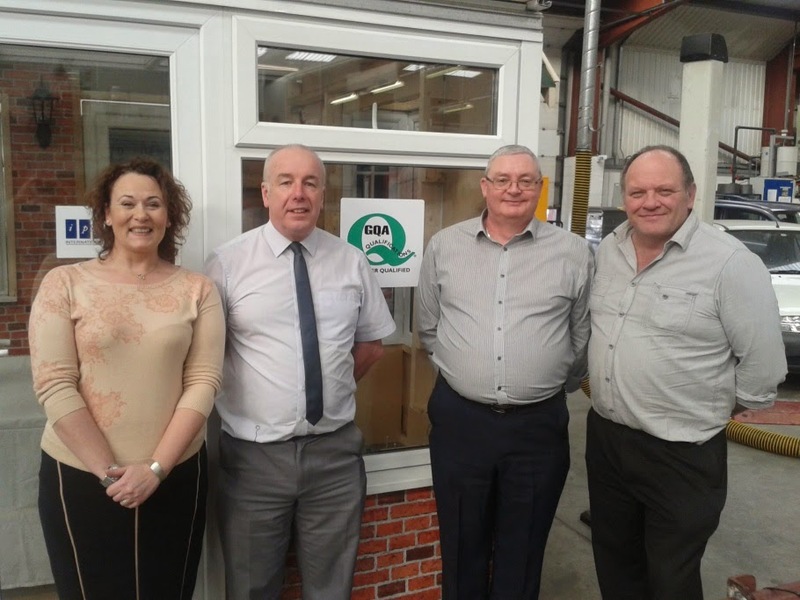 IPS has been delivering a number of GQA qualifications, including Fenestration Installation and Surveying, for some considerable time and under the leadership of Joanne the Centre assessment team continues to build on this reputation and see the range of qualifications on offer widen to include GQA qualifications in Maintenance Operations. IPS has a very strong belief in providing individuals and their Employers with added value, often delivering relevant associated training as part of the Apprenticeship programme they offer; for example Installation Apprentices receive full training in the use of access equipment. At a recent visit Sean Hayes and Andy Carrington from GQA were shown IPS’s latest resource to support Apprentice development- a specially constructed training pod inside the Engineering workshop! The structure has been built by the IPS team to give Apprentices the opportunity to put a range of skills to the test and also to apply practical aspects of the work when completing the Glass Related Operations Technical Certificate. Never one to waste an opportunity, Jo and the team will also be able to use the structure to help with delivery of the Maintenance Operations Technical Certificate and the Centre’s newly developed Building Regulations course.